Our silicone rubber tube / hose range has been developed over a number of years to maximise the efficiency of Lego pneumatic systems and provide a perfect replacement for worn, damaged or lost Lego tubing. 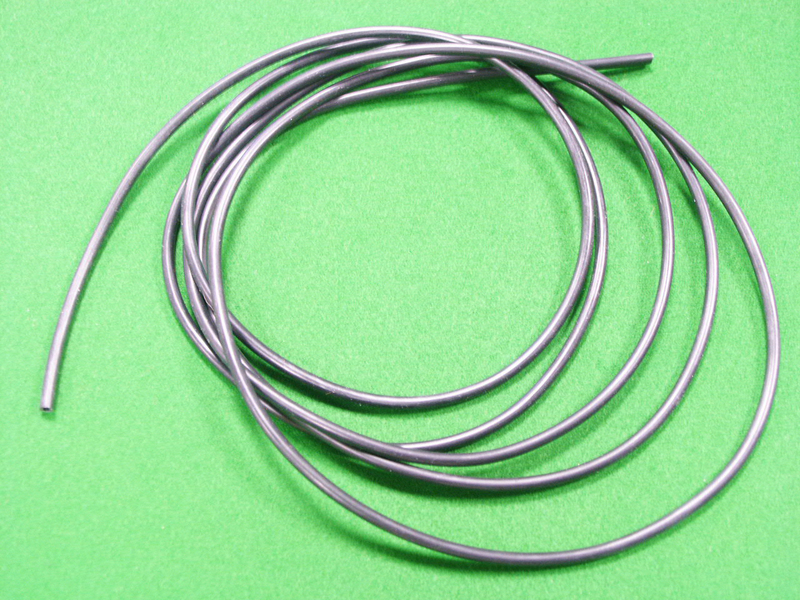 This tubing can also be used for a number of other applications. 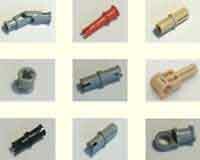 Looking for replacement parts for your Lego sets? - simply type a description in the search box on our front / main page (e.g. 3 x 1 red slope brick etc.) to locate the pages you need to view. Alternatively click on the tab to the left labelled 'Browse our extensive Lego parts pages' to go directly to our main pages where you can navigate through the exhaustive lists of parts we have available. Save money - if you are buying tubing on this page, any items you select from our other pages will simply be added to your current shopping cart saving you the need to place separate orders and therefore reducing the overall P&P charges you need to pay! The quality of this product is high and demand has grown. The external diameter is approx. 4mm and the internal diameter is approx. 1.5mm. 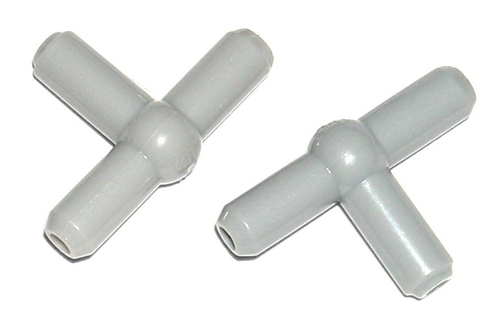 The tube is manufactured to a shore hardness of between 70 and 80 making the tube ideal for use with Lego pneumatic hardware. The main colours available are black, dark grey and light grey. The black tube is a true or deep black, the light grey is similar to Lego colour Light old grey (similar to vintage Lego grey tube), and the dark grey is a slightly lighter version of Lego's dark stone grey colour. 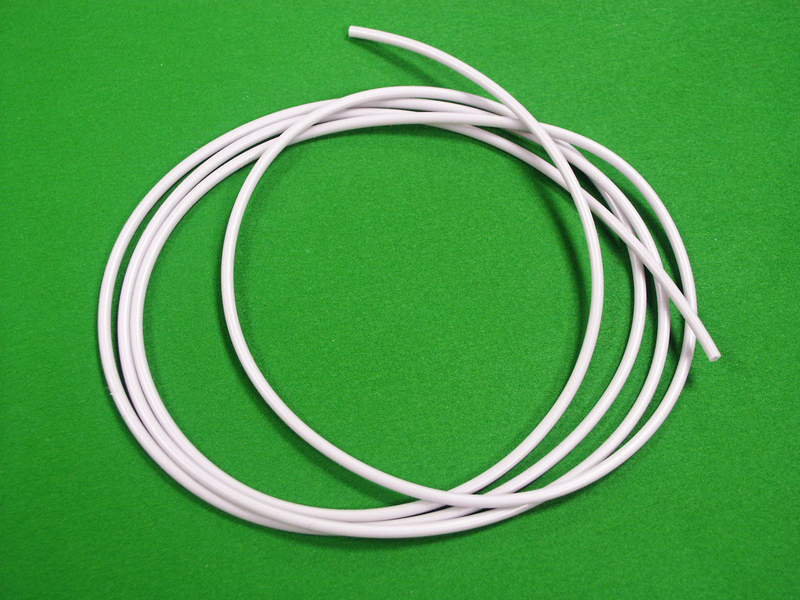 We do have some softer tubing ideal for other applications and limited quantities of alternative colours - to enquire, please call us on 07976 958681 and we let you know what alternative products we currently have in stock. 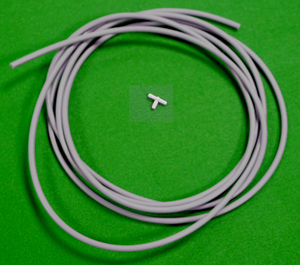 Medium stone grey coloured Lego pneumatic jointing 'T' for use with 4mm dia. 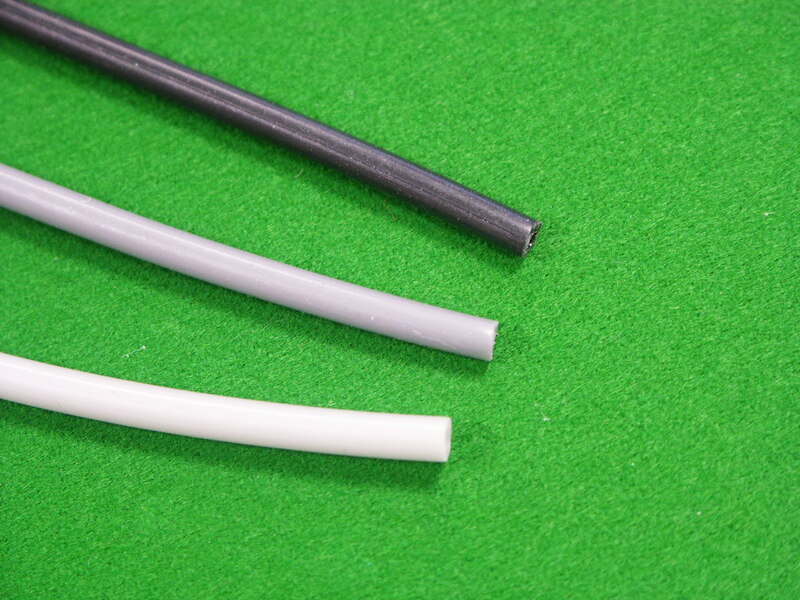 / 1.5mm internal diameter tubing (compatible with Lego tubing and items DG001, DG002 and DG003).